Theater Design Northwest sponsored video calibration and HD video feed of the Olympics opening ceremony for the Sebastian In Bellingham Preview Party held on the opening evening of the Olympics in February 2010. Deeward and Bode Appliances donated a 60″ LG plasma display which really made the Olympics feed from Vancouver look great in 1080i over the air digital HD. 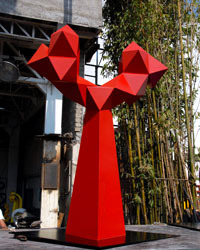 The event, sponsored by Allied Arts of Whatcom County and the City of Bellingham is signifigant; the display in Bellingham is the first ever large scale exhibit of internationally renowned Mexican sculptor Sebastian in North America. You can see the artist’s compelling creations publicly on display on an artwalk downtown near the museum. Learn more here. The project was a great success and we enjoyed ourselves at the Preview Party. It was great to view so many works all in one place at the event. 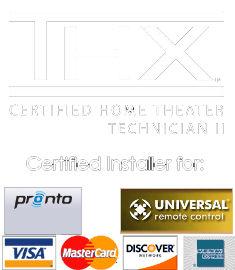 THX Technician - Theater Design Northwest offers complete quality home theater services in the greater Puget Sound Region.